University at Buffalo and Northeastern University researchers are working on providing the world with telecommunication abilities underwater! This could radically change the way we perform search and rescue operations, detect tsunamis, monitor the environment and a lot more. Their National Science Foundation-supported work is outlined in a study titled“Software-Defined Underwater Acoustic Networks: Toward a High-Rate Real-Tim Reconfigurable Modem” published in late 2015 in IEEE Communications Magazine. “The remarkable innovation and growth we’ve witnessed in land-based wireless communications has not yet occurred in underwater sensing networks, but we’re starting to change that,” says Dimitris Pados, PhD, Clifford C. Furnas Professor of Electrical Engineering in the School of Engineering and Applied Sciences at UB, a co-author of the study. 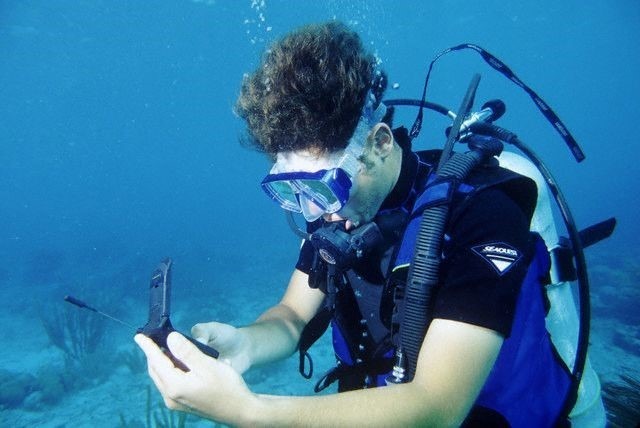 Underwater wireless will likely never be a match for radio waves in the air but if early testing is to be believed our ability to communicate wirelessly under water will be improved ten-fold. This is being achieved through smart software-defined radio technology a conjunction with underwater acoustic modems.